So shine bright, tonight, you and I... We're beautiful like diamonds in the sky... Of course you don't want your face to shine bright like a diamond tonight, don't you? The word "shine" in make up and cosmetics is synonymous with "unwanted oil" and no matter what your skin type is, the shine should be more on your cheeks than on your T-zone. 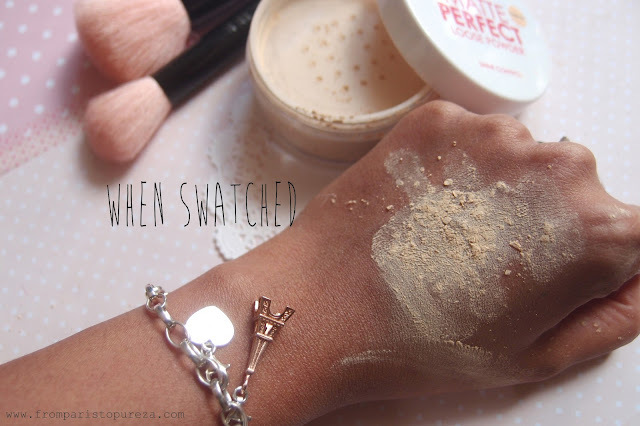 Here's a key to perfectly achieve a lovely soft glow, Make-up Academy's Matte Perfect Loose Translucent Powder. 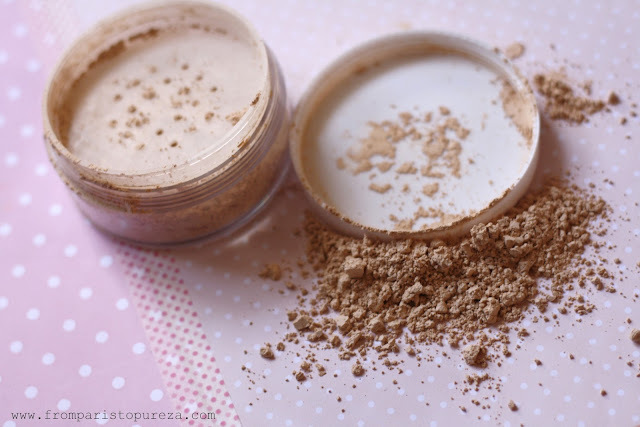 It is a setting powder that will take away that "shine" and gives a nice flawless matte finish. The texture is soft and silky. It leaves a glowing, translucent and natural finish to all skin types. and by the way I am NC 32 in MAC. 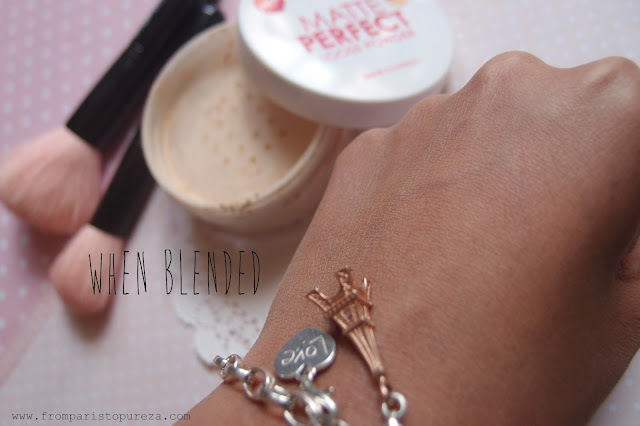 And when blended, voila! Natural finish and instant freshness! It comes in a round transparent tub with a sifter. Oops! I messed up a bit on the last photo! My fault! Honestly, I am loving the "the famous" Ben Nye Banana Luxury Powder (thanks to Kim Kardashian), I have the 3oz. size but the problem with this product is the availability - it is super difficult to find and always out of stock. 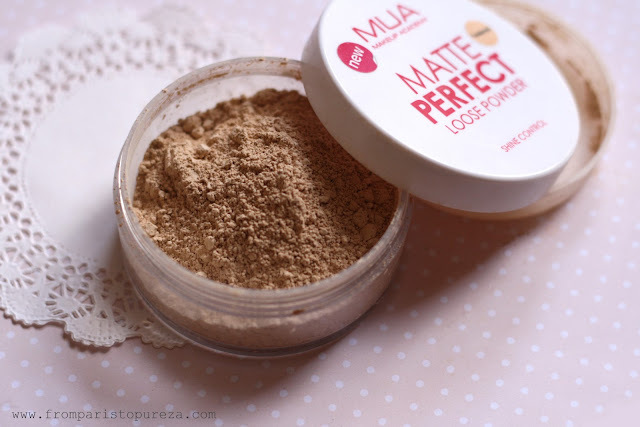 If you are looking for a good substitute, I recommend MUA Matte Perfect Loose Powder. Although this powder is not as fine as Ben Nye, but it works almost as good as Ben Nye. And I think it is pretty decent for its price and will keep your face shine-free up to 4 or 5 hours. Have a fab weekend, lovelies! Thank God it's Friday! Don't forget to join my birthday giveaway HERE.